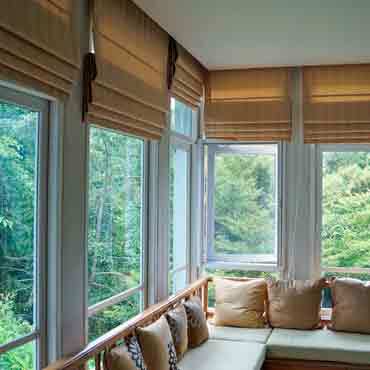 Roman shades have the look and feel of draperies, but are as practical as a cellular blind. Roman shades are woven fabric that can be raised or lowered like a blind. They create privacy while allowing light in from the outside. Available in either hobbled (also known as teardrop) or flat fold styles, Roman Shades fit virtually every setting, whether elegant or casual.